Despite all the media coverage, assault and harassment remain too common. There’s a lot that public leaders could be doing. We’ve seen more than enough sexual assault and harassment cases that were ignored for years or even decades. The Catholic Church scandal. Penn State and, more recently, Baylor University. The National Football League. The military service military academies and the Coast Guard. Some local government fire and police agencies. And that’s just a starter list. At the National Park Service, complaints of sexual harassment and assault go back over 20 years. In one survey, 75 percent of female park police said they had experienced sexual harassment on the job. The law on this subject is clear. Sexual assault is a crime. The Civil Rights Act of 1964, as well as many state and local laws, prohibit both sexual discrimination and sexual harassment. And the U.S. Supreme Court has ruled that employers are strictly liable for sexual harassment committed by supervisors if the employee suffers a tangible job detriment. Given that the law is clear and that the media continue to report on sexual assault scandals, why does this ugly problem persist? Why do so many public-sector leaders seem unable or unwilling to take strong steps when serious allegations are made? And what can be done to turn the situation around? There are a number of reasons for inaction. A 2014 survey of female firefighters provides some clues. Seventy percent of the survey respondents said they did not report their attacks. The reasons they gave — and some gave more than one — are familiar: emotional trauma and feelings of shame; a belief that their reports wouldn’t be taken seriously; fears of physical reprisal from attackers; and worry that they would lose their jobs. • The internal reporting process is murky and often delayed by supervisors who want to keep incidents quiet. • Some managers dismiss complaints as “simply a misunderstanding” between the supervisor and staff. • The victim is often required to repeat her story multiple times to different people, which discourages many from pursuing their complaints. • A hostile work environment exists, where sexist jokes, pornographic displays and unwanted sexual advances are common and ignored by management. • Leaders want to protect the agency’s reputation, so they take mild steps such as moving the accused to a different unit. The last factor is especially troubling. The leader may feel that he or she has acted appropriately, but the message to the staff is clear: You can sexually harass someone and get nothing but a mild tap on the wrist. What can public managers do to prevent and address this ongoing scourge? Training and education are a good start. Henrico County, Va., for example, designed its own online training program on sexual harassment. All supervisors are required to complete it. The course defines sexual harassment, makes the laws on the subject clear and outlines the county’s procedures for handling claims of harassment. Henrico’s approach emphasizes the importance of setting clear expectations for behaviors. Supervisors can’t complete the course until they get a grade of 100 on the final test. That’s unusual for government training programs, and it’s impressive. Many of the county’s supervisors have praised the training; several have gone through it with their staff members. And, in addition to supervisory training, all of Henrico’s new employees must watch and discuss “Let’s Get Honest,” a creative video about sexual harassment (it’s commercially available). 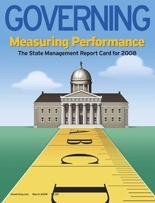 Another useful informational resource is the International City/County Management Association’s Effective Supervisory Practices: Better Results through Teamwork. Chapter 14 of the book, entitled “Ensuring a harassment-free and respectful workplace,” offers tips on, among other things, writing a harassment policy, responding to complaints, intervening effectively and protecting complainants from retaliation. Unfortunately, however, information and training aren’t enough. They are helpful to those who want to do the right thing, but the best training program won’t change a hostile work environment or deter sexual predators. What’s needed is strong leadership — not just one leader, but a leadership team that is committed to creating a work culture that values and respects everyone. Such teams are effective when they make clear that they have zero tolerance for any form of harassment and when they talk with genuine conviction about the importance of a culture built on respect. They should do so at new employee onboarding programs, at retreats with work units, at all-hands meetings. And leadership teams can help create respectful work cultures when they honor supervisors who take strong action against those who harass others. They also make a difference when they ask groups of middle managers and supervisors what specific steps they’re taking to foster mutual respect — and hold them accountable for making respect a priority. When senior managers ask the same questions of their reports, over and over, people usually realize what their bosses want and care about, and follow suit. And leaders’ efforts gain credibility when they institute 360-degree reviews of managers and supervisors that include pointed questions about exactly what managers are doing to foster respect in their work units. These kinds of actions will create healthier workplaces. They will help attract talented millennials who won’t put up with any sort of harassment at work. And they will make people proud of their organizations and their leaders.